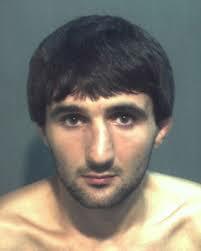 An FBI agent interviewing Ibragim Todashev shot the Chechen man six times in the body and once in the head after a sudden altercation in his Florida apartment, ABC News reports, citing an autopsy report. The 27-year-old, who was an associate of suspected Boston Marathon bomber Tamerlan Tsarnaev, was being questioned about an unsolved 2011 triple murder in Massachusetts. After implicating himself, Todashev crashed a coffee table into the back of the head of an FBI agent and came at officers with a long object, according to the findings by Florida State Attorney General Jeffrey Ashton. The agent responded by opening fire. To read the autopsy click here. Posted: 3/26/14 at 9:19 AM under News Story.